Siri will soon be more helpful than ever before. Apple showed off the latest features that its computerized personal assistant will have in iOS 10 at WWDC '16, including context-based predictive suggestions that help to speed up the user experience. 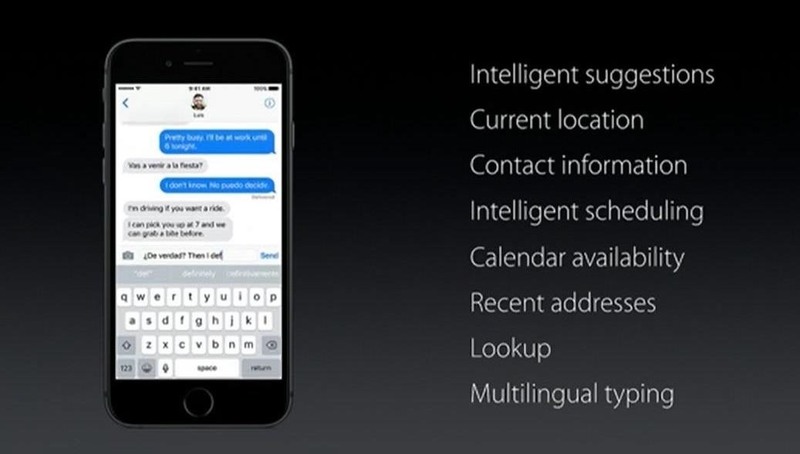 Siri will now work with the QuickType keyboard to offer smart suggestions about what to type next. Siri can gather clues based on what's been said earlier in a conversation, but it can also make its own intelligent suggestions as well. For instance, if somebody asks you for someone named Joe's email address, Siri can look through your contacts and show you his email address in the predictive text box so you don't have to close out your messaging app and go looking for it yourself. Events will now be added to your calendar through context clues, so if you exchange messages with someone about setting up a meeting, Siri will automatically add it to your schedule. These seem like the sorts of improvements that you won't really notice as you use your phone, which are often the best kind of improvements. We've still got a couple months to wait before iOS 10 is released to the public, but the early indications look promising.